Use our Free Web Timesheets to Discover secret profits in your business and ease billing now. Automate Payroll with our New improved setup features. Informed decision-making requires real-time data. Journyx Timesheet gives you what you need by allowing your team members to enter project time and expense information from any location that can hit the Internet. Add Journyx Projectlink to the mix and interface directly with MS Project. Precise cash flow coordination relies on accurate data. Journyx Timesheet makes the collection of time, expense & rate information easy and reduces the time needed to get an invoice out the door. Allow access to historical billing records to improve Client relationships. Accurate payroll processing demands fluid data. Journyx Timesheet can automatically transfer time, attendance and expense information directly to your critical payroll & HR management systems. Streamline the process even further with automated approval. Project Management with Journyx Timesheet - the data you need, when you need it. Senomix Timesheets - Senomix Timesheets is the easiest networked time tracking software for engineering and project-based offices. All features are installed in minutes to let you track time, project progress or export data to QuickBooks, MYOB or Peachtree. Project Clock Pro - Project Clock Pro is an easy to use project time recording system. Project Clock is a useful application for consultants, lawyers, engineers or anyone else who must record time billed to different projects. 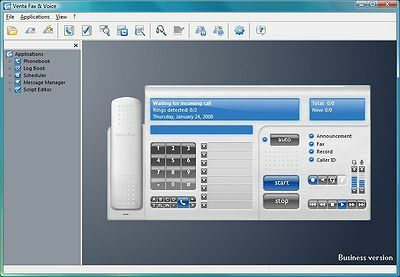 Project Clock Client/Server - Project Clock Client/Server is an easy to use multi-user project time recording system. Project Clock is a useful application for consultants, lawyers, engineers or anyone else who must keep track of time billed to different projects. CyberMatrix Timesheets Standard - CyberMatrix Timesheets is an easy to use Windows-based multi-user timesheet entry application that allows employees to quickly enter their time spent on various projects and tasks. Produra - Time tracking application for personal and company-wide time collection and project management. TimeGuard Pro - TimeGuard is a semi-automatic time tracking and expense logging software. TimeGuard will ACTIVELY help you to track your time and expenses, taking much of the burden off your shoulders. This is a time tracking software you can't afford to pass up ! DOVICO Track-IT Suite - DOVICO Track-IT Suite is an award winning software solution that monitors project costs, employee timesheets, and expenses. MS Windows, Web, Palm PDA's supported. QuickBooks, MS Project & Project Server integration. CMMI, SOX, DCAA Compliancy. Project Clock Standard - Project Clock is an easy to use project time recording system. Project Clock is a useful application for consultants, lawyers, engineers or anyone else who must record time billed to different projects.